Multiple-gestation pregnancies are the most significant morbidity after IVF, yet national data reports outcomes as per cycle pregnancy rates. This study provides estimates of the cumulative incidence of liveborn multiples and reports a low cumulative incidence of liveborn multiples, especially triplets. Beth A. Malizia, M.D., Laura E. Dodge, M.P.H., Alan S. Penzias, M.D., Michele R. Hacker, Sc.D. To estimate the cumulative probability of liveborn multiples after in vitro fertilization (IVF) to improve patient counseling regarding this significant morbidity. A total of 10,169 women were followed from their first fresh, non-donor IVF cycle through up to 6 fresh and frozen IVF cycles from 2000-2010. Delivery of a liveborn infant(s). After 3 IVF cycles the cumulative live birth rate (CLBR) was 53.2%. The singleton, twin and triplet CLBRs were 38.0%, 14.5% and 0.7%. After 6 IVF cycles the CLBR was 73.8%, with 52.8%, 19.8%, 1.3% for singletons, twins and triplets. Of the 5,433 live births, 71.4% were singletons, 27.1% were twins and 1.5% were triplets. Women over 39 had the lowest incidence of liveborn multiples with CLBRs of 5.2% after 3 cycles and 9.5% after 6 cycles. The twin CLBR doubled from cycles 1 through 3 with the rate of increase slowing from cycles 3 through 6. While very low in absolute terms, the triplet CLBR also doubled from cycles 1 through 3 and doubled again from cycles 3 through 6. 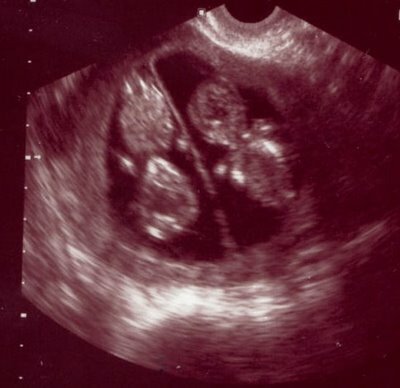 Of the 1,970 pregnancies that began as multifetal on ultrasound, 77.4% resulted in liveborn multiples. Providers should be aware of the cumulative probability of liveborn multiples in order to effectively counsel patients on this important issue. While nearly three-quarters of all women had a live birth after up to 6 IVF cycles, it is encouraging to report a low incidence of liveborn multiples.